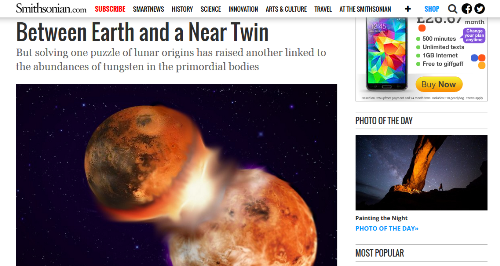 A spin-off from Fast Company magazine, this site covers TV, films, ads, social media, and memes – anything involving creativity, creative thinking, and new ways of looking at the world. But it goes beyond just linking to cool new stuff, offering analysis and interviews with people like Mad Men creator Matt Weiner, too. The website of the magazine of the largest museum and research complex in the world – science, psychology, sociology, travel, arts, you’ll find it all here. Even better, it’s all presented in an accessible, informative, entertaining way so you’ll learn a lot but never be bored. 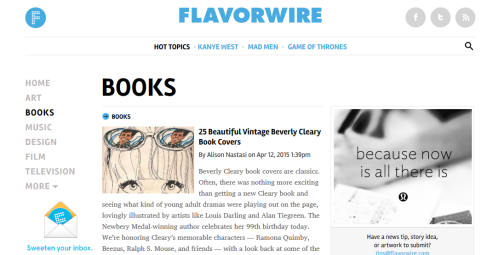 Flavorwire covers film, books, TV, music, photography, and design – basically anything you enjoy looking at or listening to. And it’s not the same old stuff. Yes, they have Game of Thrones recaps, but they also run features on the best vintage book covers and 1970s office designs. We defy you to not find something you’re interested in. 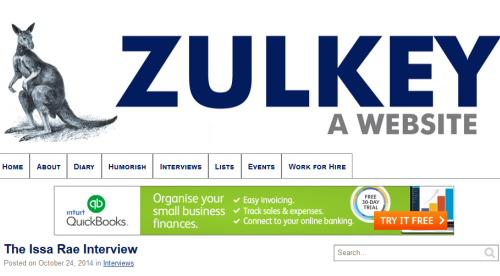 A blogging early adopter, Claire Zulkey’s been writing her site since 2002, so her archives should keep you busy. She posts life anecdotes and humour pieces as well as interviews – over 400 so far, mostly with writers and media types, from The Misadventures of Awkward Black Girl’s Issa Rae to Rookie’s Tavi Gevinson. If you want to know anything about current or upcoming TV shows, chances are you’ll find it on this encyclopaedic site – often before other places. There’s a running tally of which American shows are coming to the UK and when, the latest hires, fires, and pilot news, opinions on how channels can improve, and more. To take a look at the first part of our interesting website roundup, click here.